Well RockyLou, I can tell you a tale about the lady on the white horse riding in the Suffragette parade, though truly I don’t know much about your Great Great Aunt Elsie as she was disowned for those high falutin’ ideas she picked up when the family sent her back east to be finished. “A crime,” your Great Great Pawpaw said that those easterners ruined her with all those ideas about equality and woman’s rights. 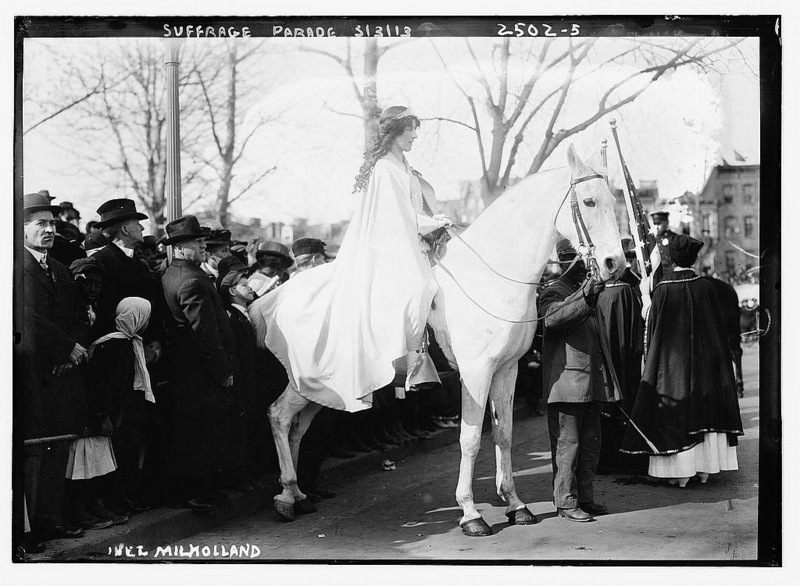 I think some of the pictures show Elsie’s friends in the suffragette movement, one of which I’m pretty sure is Roxy Louridge, the creator of GIFaChrome, whom she met during her time at Barnard College. 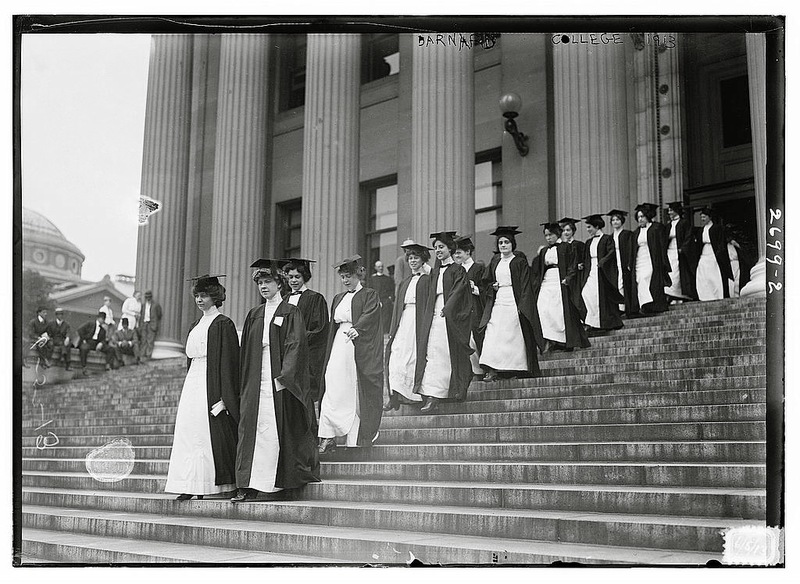 If I’m not mistaken, the two are in that parade of graduates getting their degree. Elsie married up I believe, but we lost contact with that side of the family after Pawpaw died. Well RockyLou as you know, MawMaw refused to have “that woman’s name” uttered in our house, but I did reach out to Great Uncle Harry, (PawPaw’s brother Truman’s boy) to ask after more stories about Elsie because of your box of photos. Now Great Uncle Harry’s as deaf as a post, but his eyesight’s pretty good so I toodled on over to see him at the nursing home, where he was sitting out dozing outside in the shade. He spent some time back east and Elsie made him welcome, as kin do. He identified more of the pictures for us, including Rose Sanderson (she of the trumpet) and Helene Dutriel (by the way the name written on the photo isn’t quite right. It should be Hélène Dutrieu) who were all part of Elsie’s inner circle. 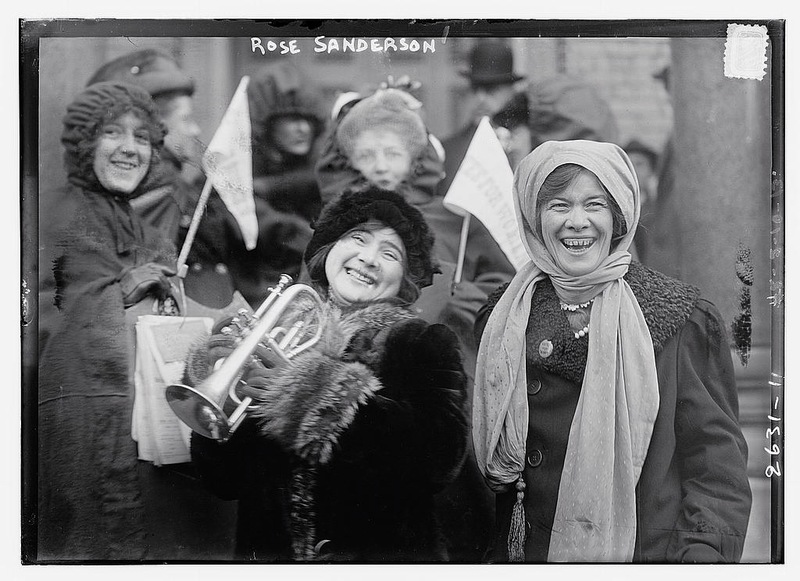 Now believe it or not, Rose Sanderson was part of an all girl’s band that used to play and tour up and down the coast into the twenties and thirties! I had no idea women were so adventurous back then! I found a video that has Rose Sanderson in it (she’s the one holding the trumpet at around 14 seconds in) so I thought I would post it here. 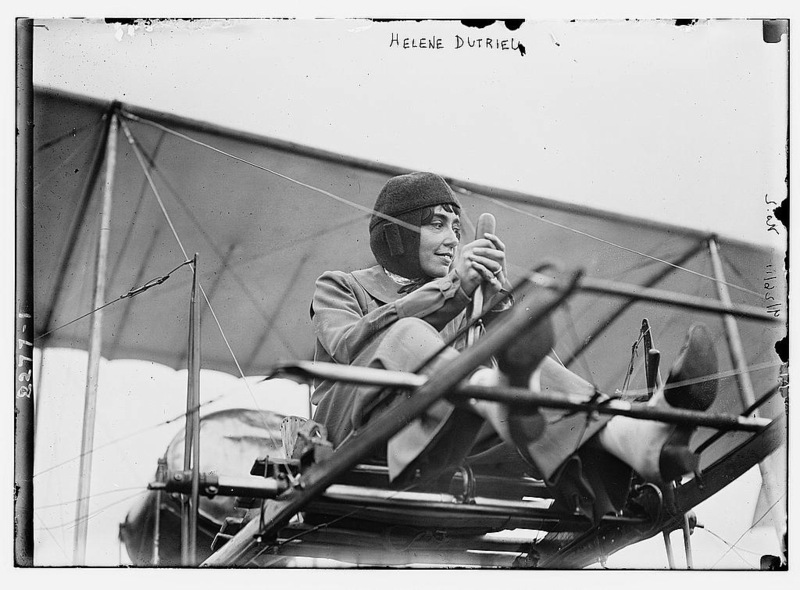 Hélène Dutrieu was a bit of a daredevil (sort of self evident by her photo!) Harry swears she was an amazing flyer and a great mechanic. He remembers meeting her in the thirties on a visit to Elsie and she showed him her airplane! He even held tools and passed them to her while she was working on the engine. Well, I’m all for high falutin’ liberal ideas myself having migrated to the East Coast for an education after leaving the trailer and the small town thinking of my childhood.